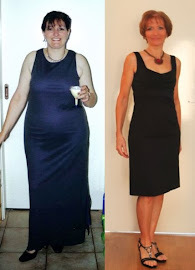 FitBody Fifty: What a difference a day makes! Last night I was completely exhausted. I left work at 4:00pm, endured the drive home, picked up some fresh skim milk (THAT was a taste sensation I don't care to repeat), got dinner organised and by 8:30 I was on the couch, struggling to keep my eyes open. My head hit the pillow a little after 9:30 and I slept like a baby. This morning, I was up at 5:45, dressed and on my way to the gym just before 6:00. I had the fright of my life when I drove around a slight bend, and a monster roo chose exactly that moment to bound across the road in the dark. Missed me by THAT much... Kangaroos are both the upside and the downside of living in the sticks. Ha! Woke me up anyway. My leg workout was awesome, my porridge (and a second coffee) is going down nicely, food is all packed and I'm about to hit the shower. The sun's shining again, and it's going to be a good day. BTW: What's in today's food bag?? ?